During our recent snow days I got a lot of house projects finished. Mostly things that needed painting, like this shelf. I painted it and Sweet Man hung it up in my studio. 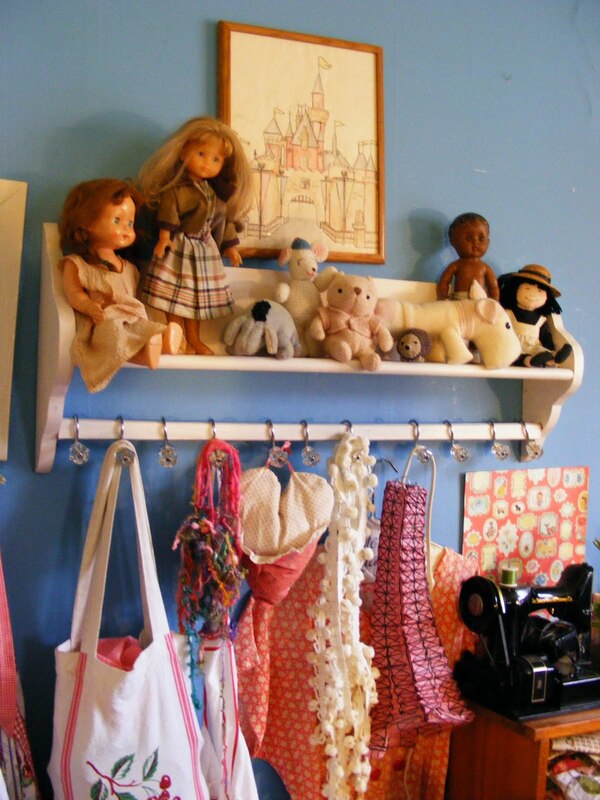 I loved having the shelf to prop all my little pals on, but I couldn’t figure out what to do with the hanging bar until I thought of these shower hooks I had stashed away. Voila! They hooked perfectly over the bar and now I can hang all sorts of odds and ends on them, easy peasy. what an adorable idea! love the cute shower hooks! Clever idea using the shower hooks! Much prettier than old “s” hooks! 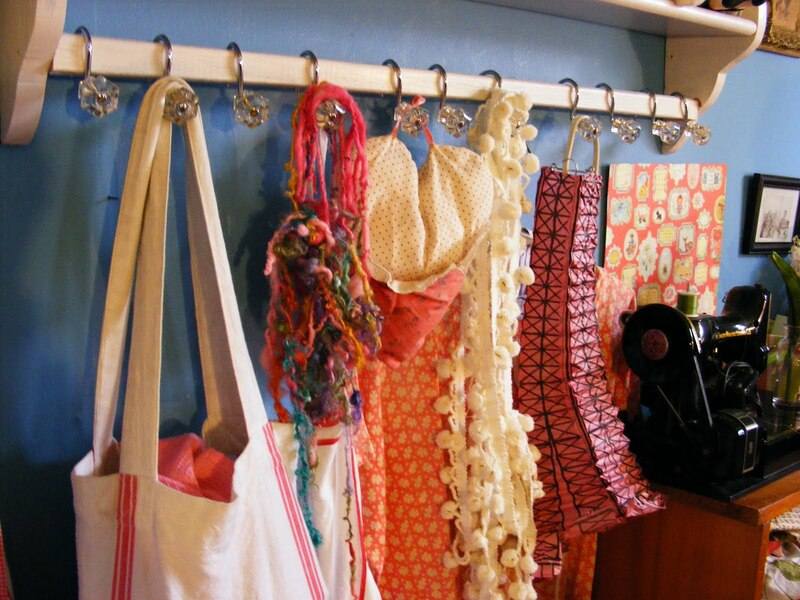 Pretty display – love the shower curtain hook idea! Perfect! I'd never thought about alternatives to s-hooks, but I assure you our Christmas stocking hanging will be all the more festive next winter! Jerusalem, I don't know if you still sell your work at shows, but those shower hooks also work perfectly on pop-up booth frames! Awesome idea with the shower hooks! So cute. Love those hooks! It is so fun when you have the stuff already!! Enjoy!! I am having trouble with your updates loading. I get them a day or so late! 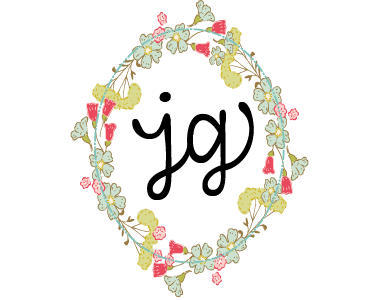 Blogger is fun! Great idea and pretty too! I have those exact same shower hooks. I love them. 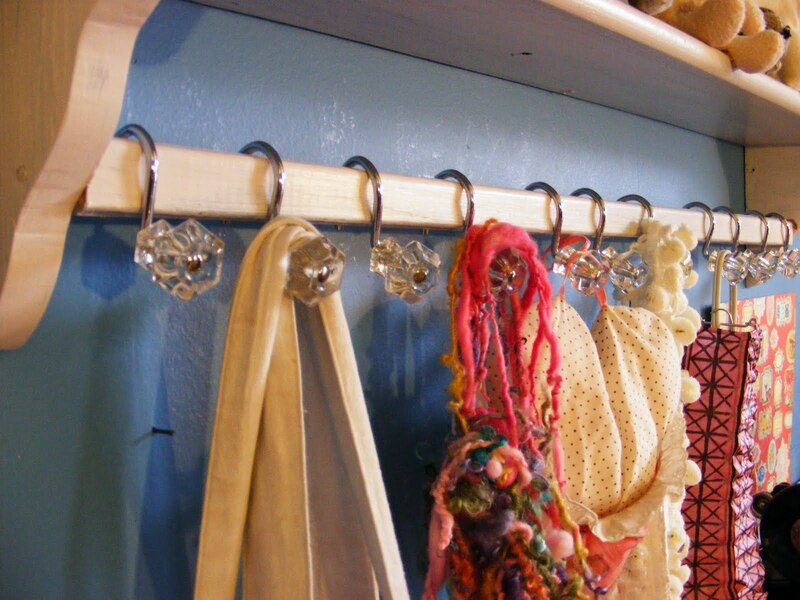 love the cute shower hooks!